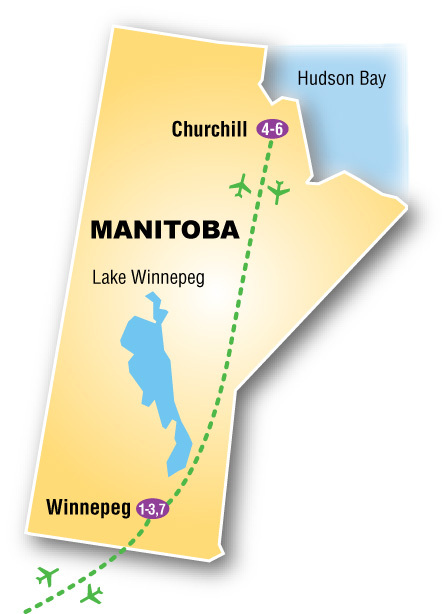 Please note: Churchill is a remote Arctic community accessible only by airplane or ship. Many of the activities include climbing into marine vessels or walking on uneven surfaces. For these reasons, you must be in stable physical condition, with good mobility. We do not recommend this tour for travelers with moderate to serious mobility issues. Space is extremely limited, with only 4 rooms available for single occupancy. With images of polar bears and belugas in your mind, it is time to return home. A traditional eastern vacation spot comes to the Sports Leisure calendar. Join us and discover the falls from above, behind and below; by day and by night. Visit a quaint village and even laugh your Canadian moose ears right off!